The New Forest has been a favourite destination for al fresco dining for centuries. 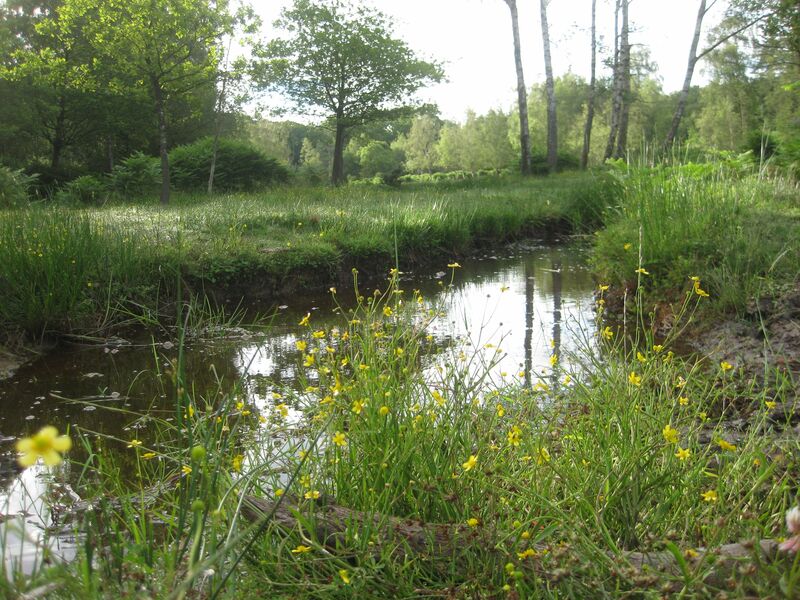 The late spring and early summer is a much favoured time of the year for many Forest dwellers and visitor alike. It is the time when the lushness of nature returns to the Forest, our migratory birds have again taken up residence and there are many baby animals to be seen, particularly the foals. The sun also begins to make a more consistent appearance and the temperatures are beginning to rise. It’s the time for making merry and offers the first real opportunity of the year for socialising out of doors. Because of the unpredictability of the British weather any sign of sunshine is virtually guaranteed to get people rushing out of their homes, with friends and family, and into the countryside or on the beaches to take advantage of it while it lasts. The New Forest is a favourite destination for such outings, where many visitors will also practice that most uncomfortable of eating ceremonies – the picnic. Dining out of doors on the New Forest has been practised for hundreds of years and was first associated with the medieval royal hunting parties. The King and his nobles would feast al fresco in great splendour and merry-making. Picnics – scenery and excitement! Modern picnics are associated with social entertaining or family gatherings and whether the fare consists of simple sandwiches and crisps or a bacchanalian feast they should always to be taken within the setting of beautiful scenery, such as a lake, river or forest. Picnics have been romanticised in fine art, literature and film, where social observations have been made, characters developed and plots revealed. These artistic endeavours often use the powers of nature to create further excitement – a plague of wasps, a thunderstorm or a charging bull. On the New Forest opportunistic ponies will often approach picnickers and create excitement of their own. These cunning ponies have long since learned that the sight of people sat on a blanket means that tasty treats will be for the offing. They have been encouraged in this belief by previous visitors who have shared their picnics and fed them. Don’t feed the New Forest ponies! Feeding the New Forest ponies, apart from being contrary to Forest Byelaws, is not good for them. The food they are generally offered is inappropriate to the diet of a herbivore. Ponies’ digestive systems are not designed to eat human food. Feeding titbits or picnic scraps can also encourage aggressive behaviour, such as pestering and even biting, which are characteristics damaging to the ponies’ reputation as a mild mannered family animal. Worse still feeding the ponies encourages them to hang around the car parks and road sides where they are at serious risk of being hit by vehicular traffic and killed or injured. However tempting it may be and however appealing they may look feeding the free-roaming ponies is not a good idea. The abundance of the Forest at this time of year means that the ponies will be provided with their own plentiful variety of al fresco dining. Foals learn from their mother. Any bad habitats taught now, such as pestering picnickers, will continue all their lives. 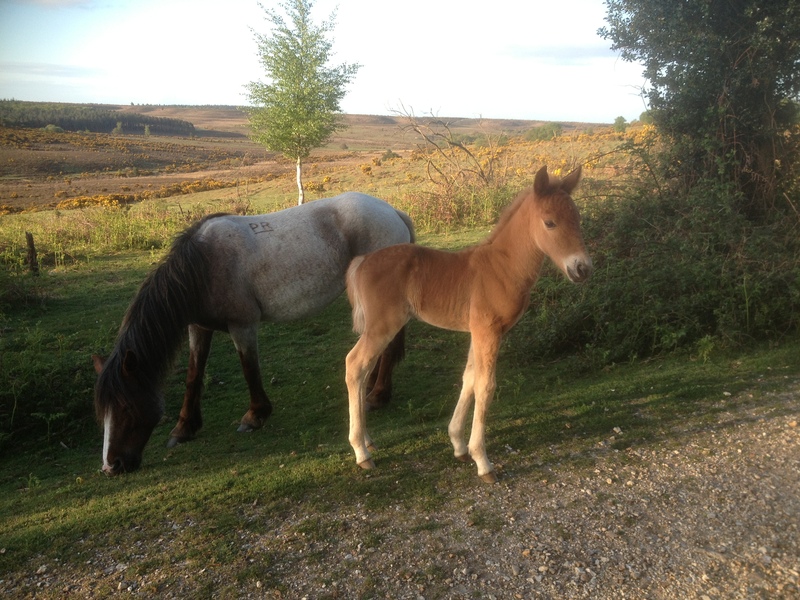 This entry was posted in New Forest, New Forest pony and tagged bacchanalian, British, feast, foals, Forest Byelaws, King, May, merry, New forest, nobles, picnic blanket, picnics, ponies, sandwiches, titbit. Bookmark the permalink.